Some of the hijab wearing female Muslim students locked out of school, recently, by ISI authorities. “Imagine that for 55 years of that school, they have deprived female Muslim students their right to use hijab. They claim the school is not public owned but we are asking them now to bring the Certificate of Registration with Corporate Affairs Commission (CAC) of the University of Ibadan International School and also give us the name of one of shareholders of the school as registered with CAC for the whole Nigerians to see,” Balogun, who is also President, Muslim Media Practitioners of Nigeria (MMPN) told The DEFENDER in Ibadan. 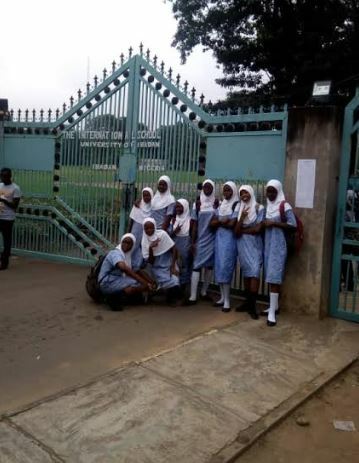 The University of Ibadan International School Ibadan (UI ISI) is said to have orchestrated a reprisal protest by another group of parents to counter the recent protest by Muslim parents of the school over its ban of hijab use by female Muslim students. Some female Muslim students before they were locked out and some locked up in school library from morning till closing hour. The DEFENDER gathered in Ibadan that the school shutdown because it found it unbelievable that female Muslim students would ever think of wearing hijab to the school. 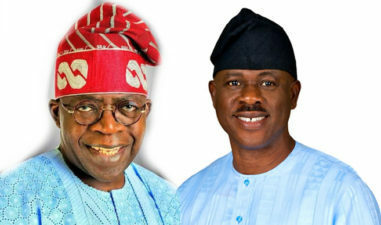 But ISI Muslim Parents’ Forum, Muslim Rights Concern (MURIC) and Muslim Community of Oyo State continued to mount pressure on the authorities saying the ban on use of hijab is invitation to chaos. In a twist of event, the same Muslim parents who are asking for hijab are being presented to a section of the media by the school authorities in a bid to neutralize the demand for hijab as now being together with Christian and idolatry parents in condemning the use of hijab. 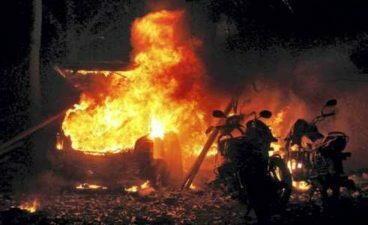 But our source in Ibadan said it was “a big lie” that should not come from such people who claim to be men and women of integrity in charge of authority in the ISI. According to a report, some parents, under the auscpices of Concerned ISI Parents Initiative protested against the use of the female Muslim student hijab in expression of their dissatisfaction with unfolding events leading to the shutdown of the school. 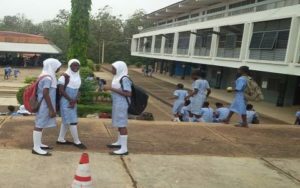 School girls in hijab peacefully receiving lectures in a normal society: This is also Nigeria – Investigation reveals. The angry parents marched to the administrative block of the University of Ibadan at 8.31 a.m. on Wednesday. In the meantime, the Muslim parents, who have warned the ISI against continued insistence on ensuring that female Muslim students in the school will not be allowed their rights of hijab, have described the counter protest of Wednesday by idol worshippers and Christian parents as huge joke. 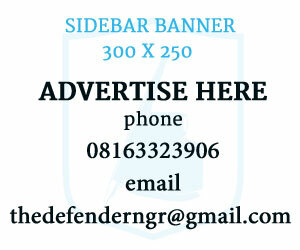 One of them who spoke to The DEFENDER said it was not possible, with exposition such effort when some Christians and idol worshippers tried to use their wearing of church garments and other irrelevant wears to confuse the non-confusing use of hijab in Osun schools in the past, that some so called Muslim, Christian and idolatry parents would protest that hijab should not be part of ISI school uniform. “They are just irredemptive apologists who do not want to tell themselves and authorities the truth that they know but are only pretending not to know. If they are truthful to themselves, they should come out with facts to back up their claim why hijab, which simply head cover, is not part of uniform. “They will then tell us what difference exists between the cap, which they approve and which is simply the way of Christianity, and the hijab that they disapprove and which is simply the way of Islam for any female girl particularly student. 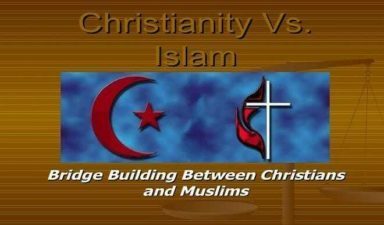 “Here in the South the Christians for a long time, just look at 55 years of ISI, because they are in control of public institutions have forced Christian doctrine on Muslim students. Yet, if the Constitution of the country is to be enforced by the Nigerian Police, none of these school principals or board members forcing their religious doctrine on Muslim children against the religion or consent of their parents should not be in jail by now for breaching the law of the land,” he said. 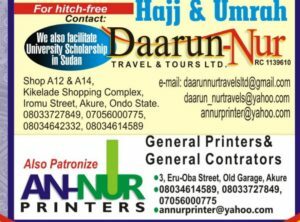 Alhaji Abdul-Rahman Balogun, Chairman of the ISI Muslim Parents’ Forum, told The DEFENDER in Ibadan on the sideline of 10th Anniversary of Muslim Ummah of South West (MUSWEN) head at the International Conference Centre of the University of Ibadan on Sunday November 18, 2018 that those who claim that ISI is not public school should bring their proof. “Imagine that for 55 years of that school, they have deprived female Muslim students their right to use hijab. They claim the school is not public owned but we are asking them now to bring the Certificate of Registration with Corporate Affairs Commission (CAC) of the University of Ibadan International School and also give us the name of one of shareholders of the school as registered with CAC for the whole Nigerians to see,” Balogun, who is also President, Muslim Media Practitioners of Nigeria (MMPN) said. Balogun had earlier on November 14, 2018 vowed in a statement that, “We will resist all attempts to intimidate and harass our girls. 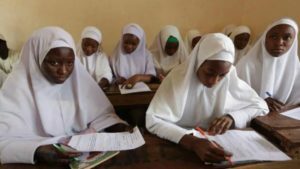 They went to their classes and coerced them, hence some of them removed their hijabs while those who refused were sent out of their classes and locked up in the library till the close of school and made sure there was two test in the class. He, however, warned that the parents will hold the school Principal, Mrs. Phebean Olowe responsible should anything happen to the students. 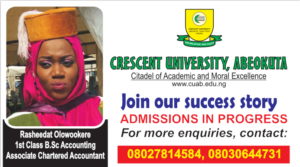 He said, “The parent will hold the principal, Mrs Phebean Olowe responsible should anything untoward happen to our girls.This is the last warning not to coerce our daughters into submission just as she did to several other girls who reported her to us. We shall use all legal means to ensure that the fundamental and God-given rights of your children are not trampled upon by the Principal”.